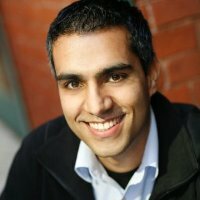 Rizwan (Riz) Virk is a successful entrepreneur, angel investor, bestselling author, and indie film producer. Riz received a B.S. in Computer Science from MIT where his thesis was at the MIT Media Lab, and M.S. in Management from Stanford's Graduate School of Business. Riz's entrepreneurial journey began at the age of 23, with his first startup, Brainstorm. Since then, individually and as managing partner at Bayview (www.bayviewlabs.com), he has been a co-founder or investor/advisor of many startups, including Tapjoy (one of the top mobile advertising companies), Gameview (acquired by DeNA), CambridgeDocs (acquired by EMC), Service Metrics (acquired by Exodus), Funzio (makers of the hit game Crime City, sold to GREE), Telltale Games (makers of The Walking Dead games), Pocket Gems, Discord, Disruptor Beam (makers of Star Trek: Timelines and Game of Thrones: Ascent), and SLIVER.TV (eSports in VR). Riz's video games have included the mobile free-to-play pioneer Tap Fish, which was downloaded more than 30 million times and acquired by DeNA, and mobile games based on the hit TV shows Penny Dreadful and Grimm. Riz has produced many indie films, including Thrive: What On Earth Will It Take? (viewed over 20 million times), and the fantasy cult classics Knights of Badassdom, starring Peter Dinklage of Game of Thrones, and the Mythica series, starring Kevin Sorbo. Riz speaks and writes regularly on entrepreneurship, video games, meditation & yoga, and more. His first book, Zen Entrepreneurship: Walking the Path of the Career Warrior, has inspired both entrepreneurs and spiritual seekers worldwide. His startups have been featured in the Boston Globe, Inc. Magazine, Tech Crunch, CIO, and he has been on shows like Coast-to-Coast AM and was even skewered by the Daily Show with Jon Stewart. His next book, Startup Myths: What They Don't Teach You At Stanford Business School, will be coming out in 2017. Tuff received his Bachelor in Microbiology and Immunology from the University of California Berkeley and MBA from the Yale School of Management. Tuff worked at leading biotechnology companies Amgen and Genentech prior entering the world of venture capital and entrepreneurship. Beginning in 1994, Tuff spent his first decade by working at large ($8billion) and small ($750million) venture funds in New York City and San Francisco investing in Information Technology, Life Science, Telecom, eCommerice, Consumer Internet and Enterprise Software. In 2004, witnessed the challenges of angel investing, the fragmented angel group, the inefficient process of raising seed capital, and the lack of institution offering, Tuff invented Structured Angel Fund™ (SAF™), and launched Seraph Group. SAF™ is the first diversified seed stage fund designed for angel investors to access a portfolio of 20+ startups with the ability to co-invest on a deal-by-deal basis. Since then, over 300 investors from 100+ cities joined SAF™ and Seraph invested approximately $50 million into 76 companies. Besides MIT, Seraph has partnered with the House Fund to invest in the University of California Berkeley community and is looking forward to partner with other leading Universities. 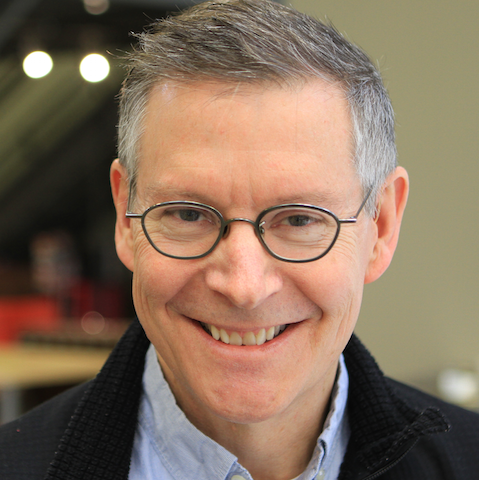 Scot Osterweil is the Creative Director of the Education Arcade and MIT Game Lab and a research director in the MIT Comparative Media Studies/Writing Program. He is a designer of award-winning educational games, working in both academic and commercial environments, and his work has focused on what is authentically playful in challenging academic subjects. He has designed games for computers, handheld devices, and multi-player on-line environments. He is the creator of the acclaimed Zoombinis series of math and logic games, and leads a number of projects in the Education Arcade, including the MIT/Smithsonian curated game, Vanished (environmental science), Lure of the Labyrinth (math), Kids Survey Network (data and statistics), Caduceus (medical science), iCue (history and civics) and the Hewlett Foundation’s Open Language Learning Initiative (ESL). He is a founding member of the Learning Games Network. At the MIT Game Lab, Sara Verrilli works on experimental game designs, working with other researchers to express their ideas in game forms. 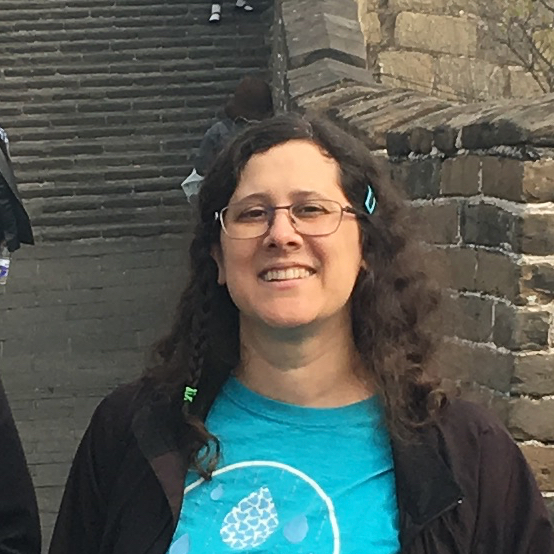 She teaches game design and project management, and works with students to develop games. She is currently design lead for Livable Cities, a game about socially responsible real estate development being made for the Samuel Tak Lee MIT Real Estate Entrepreneurship Lab. As Studio Manager for the MIT Game Lab, Rik Eberhardt spends his days playing Tetris: with people, boxes, tasklists, equipment, money, and time. He is also an instructor for two MIT Game Lab classes on game production and has served as a mentor and director for multiple game development projects including elude, a game about depression produced in the summer of 2010. He is currently working on Livable Cities, a game about socially responsible real estate, and has started work on a new game about Martin Luther, the printing press, and the Protestant Reformation. He holds a Bachelor of Arts degree from the College of William & Mary, is a Certified Scrum Master, a PMI Agile Certified Practitioner, and received an MA Certificate in Serious Games from Michigan State University. Andre Grant is Technical Director and Lecturer at the MIT Game Lab. Thanks to two wonderfully dedicated game-playing grandmothers, Andrew started playing games before he could hold the cards. From there, he went on to explore board games, strategy games, role-playing games, and computer games. This exploration shows no signs of slowing down. Andrew graduated from MIT in 1993 with Bachelor's degrees in both Computer Science and Mathematics (6 and 18, darnit) and a minor in Creative Writing. After 6 months in the real world, he discovered that someone would actually pay him to design and program computer games, so he returned to his gamer roots by joining Looking Glass Technologies, and then DreamWorks Interactive. Since then, Andrew has survived 13 years as a programmer-for-hire and independent developer in projects ranging from underwater robotics to augmented reality to yet more games. 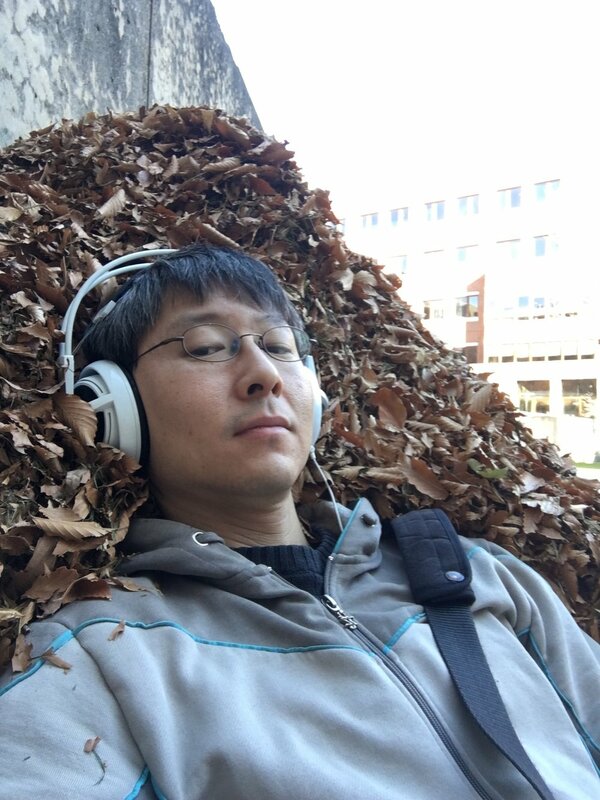 Philip Tan is a research scientist at the MIT Game Lab. He teaches courses in game design and production at the Massachusetts Institute of Technology. His research translates the joy of expert challenge (e.g. in scientific, professional, and competitive fields) into playful forms that are accessible to laypeople. For 6 years, he was the executive director for the US operations of the Singapore-MIT GAMBIT Game Lab, a game research initiative. He has served as a member of the steering committee of the Singapore chapter of the International Game Developers Association (IGDA) and worked closely with Singapore game developers to launch industry-wide initiatives and administer content development grants as an assistant manager in the Media Development Authority (MDA) of Singapore. -Photo.net, the world's largest high end amateur photography community. Based on PhD work at MIT, Rajeev cofounded Scalable Display Technologies which is a premier provider of Immersive Simulation and Entertainment creation technologies. These are life size systems and the company is profitable and based in Cambridge MA. Mike completed his undergraduate studies at MIT. As a student, he very successfully ran the campus film and lecture series, the largest student activity on campus, earning him a “business” reputation. When his friends developed Zork, one of the earliest computer games at the computer game pioneer Infocom, they enlisted Mike to help them out. This marked the beginning of Mike’s long and successful career in gaming. Among his responsibilities at Infocom, Mike dealt with customer issues and, again tapping into his business spirit, saw an opportunity to build paid support services for the game players. While he was at business school at the University of Chicago, the company contracted with him to create the Zork Users Group. Mike published the highly successful New Zork Times mail-order newsletter to sell the game maps and InvisiClues hint booklets he created. After business school, Mike sold his company to Infocom and rejoined them as head of marketing. He launched over forty Top-10 bestsellers, and is particularly proud of championing The Hitchhiker’s Guide to the Galaxy. After Activision’s acquisition of Infocom, Mike pursued a series of startups of his own, first in consumer products, and then in cellular services, before re-entering the computer games business as co-founder and president of Boffo Games. Eventually, Mike was recruited to Harmonix Music Systems where he served as COO and was responsible for Harmonix’s Finance, Administration, Legal, HR, Business Development and Marketing. Harmonix’s most famous product, Guitar Hero, became a huge hit, earning critical acclaim and breaking the record for the fastest videogame franchise to hit $1 billion in sales (it went on to sell $3 billion). Rock Band, Harmonix’s next franchise, broke this record by hitting $1 billion in sales in just over one year. Mike handled the major deals for the company, including the game publishing contracts, the Chinese manufacturing of all the drums and guitars, and the sale of the company to Viacom for over $700 million, including earnouts, one of the highest prices ever paid for a game developer, yielding the investors up to 220X. Noah Falstein has been a professional game developer since 1980 (Sinistar, Secret of Monkey Island, Indiana Jones and the Fate of Atlantis, ReMission, Neuroracer), and was one of the first ten employees at LucasArts Entertainment, The 3DO Company, and Dreamworks Interactive. He ran The Inspiracy for 17 years, a game consultancy focusing on entertainment and serious games. Falstein was the first elected Chairman of the IGDA and design columnist for Game Developer magazine for 6 years. At Google, he contributes to game projects across the company including Daydream VR and Tango (AR), and engages with game developers worldwide as part of the VR team. In addition to being a co-founder of Bayview, Irfan is an experienced entrepreneur and angel investor, having launched both enterprise and consumer startups. Irfan is currently co-founder of North Bay Solutions, a big data consulting firm. Prior to that, He was General Manager at DeNA, a public Japanese mobile game company, running the Gameview division, which he was a co-founder of prior to it being acquired by DeNA. This included Tap Fish, Tap Ranch, and a number of other mobile games. Prior to that Irfan was co-founder and President of Asia for CambridgeDocs, which was acquired by EMC. Irfan was co founder and CEO of eLantix, and COO of Brainstorm Technologies. Irfan holds BS in Industrial and Operations Engineering from the University of Michigan. After graduating, he worked for Andersen Consulting leading projects for a number of Fortune 500 clients. 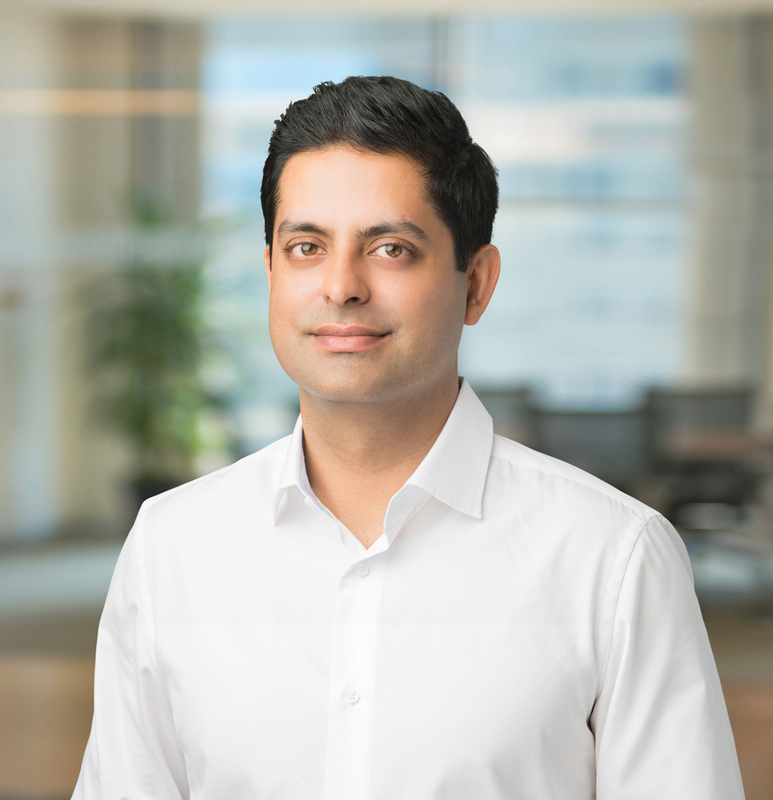 Gurinder Sangha is a serial entrepreneur, attorney and academic who is at the forefront of incorporating modern technology into the legal and financial services sectors. He is the founder and CEO of Lit IQ, which uses advances in computational linguistics technology to help lawyers draft precise and error-free legal documents. He is also a Fellow at CodeX, The Stanford Center for Legal Informatics. Sangha was the founder and CEO of Intelligize, which helps business professionals research regulatory filings. Intelligize was acquired by LexisNexis. Prior to founding Intelligize, Sangha practiced securities law at the Hong Kong office of White & Case LLP and the New York City office ofr Shearman & Sterling LLP in New York City, focusing on initial public offerings. Sangha has also consulted for Wolters Kluwer Law & Business. He speaks frequently and is quoted widely on entrepreneurship, product development, legal innovation and enterprise sales. He has been featured in numerous media outlets, including The Wall Street Journal, Barron’s and various industry blogs. Sangha has been awarded multiple honors including being named to Crains New York's "40 under 40" list. Sangha earned his J.D. at the University of Pennsylvania Law School. He received his B.A. in Economics and Commerce from the University of Toronto, graduating with high distinction. He is a member in good standing with the New York State Bar Association. 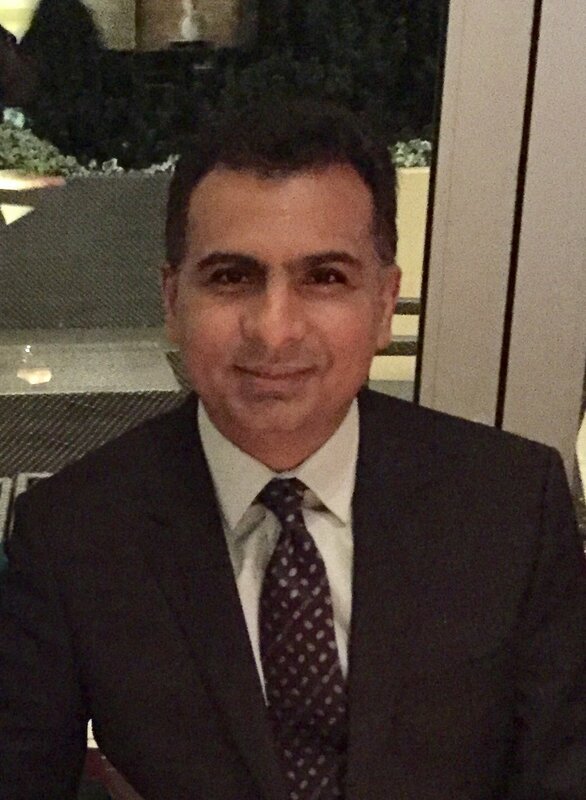 Sunny Dhillon is a partner at Signia Venture Partners, an early stage Silicon Valley venture capital fund. He invests in VR, AR, gaming, ecommerce, and consumer technology companies. Waikit founded 2 companies (one in machine learning/online video space and the other in social networking space) that were acquired and helped take one public. He currently is an angel investor/advisor and startup helper. He has spent time as an investor at Bessemer Venture Partners and worked in product and business development roles at Cisco and Merrill Lynch. Way back in the 90's when he was spending nights at the Media Lab Garden, he built a talking dictionary for the Media Lab Speech Group. Waikit holds B.S. degrees in EECS and Finance at MIT and an MBA from Harvard Business School. Andrej is CEO and co-founder of Reach Mob Inc., a mobile and growth consultancy. Andrej was previously CEO of Iddiction, a mobile marketing firm and Outfit7, the creator of Talking Tom and one of the fastest growing mobile entertainment companies of all time with several billion downloads on iOS and Android. Prior to Outfit7, Andrej co-founded start-ups in Europe and Japan, including Httpool, a leading online advertising network, and Parsek, a software development firm. He is an advisor to mobile entertainment, social and health startups on business and product development, design thinking, mobile user acquisition, viral growth, fund raising and M&A. Andrej also serves as chairman for YES, a charitable association of young leaders in Eastern Europe and was an advisor to USAID. Andrej was the founding Curator of TEDx conference in Silicon Valley. In 2009, the World Economic Forum in Davos selected Andrej Nabergoj as a Young Global Leader. The honor is bestowed by the World Economic Forum each year to recognize the most distinguished leaders under the age of 40, nominated from around the world, who are shaking up policy, society and the world around them. Mitch started playing Counter-strike 1.6 back in 2003 and most recently while not day dreaming about turning Pro, he leads SLIVER.tv as the company’s CEO. Before starting SLIVER.tv Mitch co-founded Midverse Studios which developed "Penny Dreadful: Demimonde" and “Grimm: Cards of Fate” mobile games in partnership with CBS/Showtime and NBC. In 2010, he launched Gameview Studios best known for its Tap Fish mobile game franchise with nearly 2 Million daily active users at its peak. The company was acquired by DeNA, a leading Japanese mobile gaming company. Prior to that, Mitch co-founded Tapjoy in 2007 which pioneered social and mobile app advertising. He received a BS in Computer Science Engineering from MIT, did research at the MIT Media Lab “Interactive Cinema” group and received a MBA from Stanford Graduate School of Business. He’s an active angel investor in the Bay area and advisor to a number of startups. Anil Dharni is the CEO and Founder of Sense, a platform focused on managing and engaging contingent workers. They are backed by Google and Khosla Ventures. Prior to Sense, he was the President & Founder of Funzio, which was acquired by GREE in May 2012 for $210M. Before Funzio, Anil co-founded mobile game company, Storm8. He oversaw Storm8's business operations including marketing, customer support, business development, legal, and human resources. Anil Dharni is also a prolific angel investor with over 30+ investments in companies like Amplitude, Leanplum, Helpshift, Domo, Skydio, Palantir to name a few. He has an MBA from MIT Sloan School of Management. A social scientist with an interest in the impact of networked digital technologies on human behavior and society, Prof. Casalegno both teaches and leads advanced research at MIT, and designs interactive media to foster connections between people, information and physical places using cutting-edge information technology. Between 2004 and 2011, he had a position as Lecturer at the MIT Media Lab Smart Cities group and from 2006 until 2011 co-directed the MIT Design Lab with Prof. William J. Mitchell. From 2004 to 2007, he worked at Motorola, Inc. as a Technology and Product Innovation Analyst, designing pioneering products, experiences and services for mobile devices. Previously, from 1994 to 2000, he worked at Philips Design on connected communities and new media environments to inform design and product experience planning. He has published several scientific papers in peer-reviewed journals, books and articles. For the Living Memory connected community project he was awarded the Best Concept prize by the American Leading Industrial Designers I.D. Magazine, and the Silver Prize Design Concept by the Industrial Designers Society of America (IDSA). Mikael Jakobsson conducts research at the intersection of game design and game culture. With a foundation in interaction design, he investigates how gaming activities fit into social and cultural practices, and how this knowledge can inform the design and development process. His research has partly been supported by research grants involving collaboration with the game industry. He is currently involved in creating a research strategy for the MIT Game Lab where he also is teaches classes in game studies and game design. He has nearly twenty years of experience in teaching, course development, research project management, establishing external funding and collaboration, as well as advising master’s and PhD students. Timothy Loew is Executive Director of MassDiGI. Prior to founding and starting up MassDiGI, Loew, an experienced administrator, held senior positions in business, development and academic planning at Becker College. Before Becker, he worked in financial services and as an independent management consultant to clients in the technology sector. He is an appointed member of the MA Creative Economy Council. Monty Sharma is Managing Director of MassDiGI. Prior to joining MassDiGI, Sharma, a respected game industry and technology professional, was co-founder/general manager of Vivox, a voice chat service provider in the game industry with key relationships to EA, Sony, Ubisoft, Nexon, Bigpoint and many others. Before Vivox, he held senior positions at Jamcracker, Novell and MT&T. Jon Radoff is CEO and Founder of Disruptor Beam, a company focused on turning the world’s greatest entertainment franchises into the most successful mobile games. Radoff founded Disruptor Beam in 2011 and oversees company strategy and operations. Disruptor Beam creates highly authentic and story-driven games based around worlds that have spawned communities of millions of passionate, dedicated fans. The company released its first game, Game of Thrones Ascent, in 2013, and Star Trek Timelines for mobile devices in January 2016. The Walking Dead: March to War is currently under development. Tom Higley is a six-time founder, entrepreneur and startup CEO. He is Founder and CEO of 10.10.10, a program that invites 10 successful serial entrepreneurs from throughout the United States to spend 10 days exploring solutions to 10 wicked problems. 10.10.10’s focus is new venture generation, market-based solutions and impact. Tom has founded and run six tech startups, including Service Metrics (acquired by Exodus Communications for $280 million) and StillSecure acquired in 2013. During his career as entrepreneur, he raised more than $40 million and has returned more than $1 billion to investors. He has served for more than two decades as a board member for multiple companies and as mentor and advisor for entrepreneurs, founders and CEOs. He has invested in more than 25 startups. Tom graduated from the University of Michigan and Harvard Law School. Jacob Loewenstein is a second-year MBA student at MIT, and Co-Founder of VR@MIT, MIT's VR/AR community. This past summer, he drove VR/AR business development and strategy projects for Samsung Next, Samsung's innovation group. He will return to Samsung Next full-time in July. Jacob was also co-organizer of Reality, Virtually, the biggest VR/AR hackathon ever, which took place at the MIT Media Lab in October 2016. Prior to MIT, Jacob worked at BuzzFeed in business development and strategy. Since he was an undergrad at Princeton, he's been incredibly passionate about technologies that change the way we produce and consume media, which motivates his current obsession with all things VR/AR. Eswar Anandapadmanaban is a sophomore studying Electrical Engineering and Computer Science at MIT. He has worked on Virtual and Augmented Reality software and hardware. He worked at Samsung Next on an analytics platform for mobile VR content. He has also worked at NASDAQ building a AR Data Analytics tools suite. Currently he is working on the NASA BASALT project building a path planning visualizer for astronauts using the Microsoft Hololens at the Man Vehicle Lab at MIT. 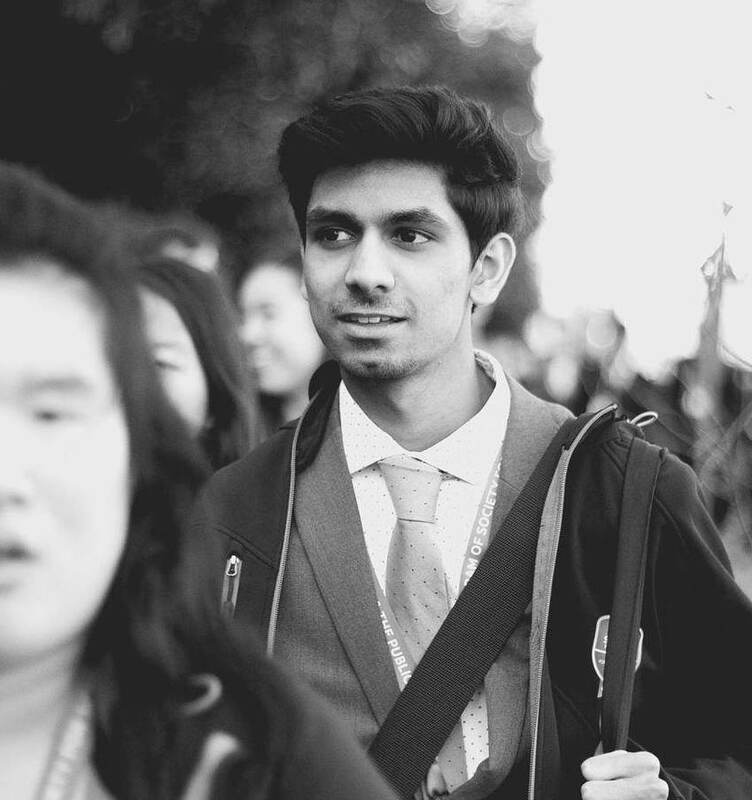 Eswar is a co-president of VR@MIT and Director of StartLabs, MIT's undergraduate entrepreneurship club. In his spare time, Eswar is an avid HTC Vive gamer. Caroline is a game designer, community organizer, and Director of Marketing & Business Development at Intrepid. She has been designing live action games since 2001, drawing on her background in theater, video game and tabletop game design. She is a founder of the Boston Festival of Indie Games, a community manager for Boston Indies, Chief Creative officer of Incantrix Productions, and sits on the Board of Directors for Be Epic, Inc, a live-action games non-profit company. She speaks about game design at many local Boston colleges, such as Northeastern, MIT, and Harvard, as well as at game conventions such as PAX East. Ichiro is Founder and President of Dejobaan Games, an award-winning Boston-based game development studio responsible for one of the first commercial desktop and mobile VR titles (the "AaaaaAAaaaAAAaaAAAAaAAAAA!!!" series). He has worked in the industry since 1992, co-founding Worlds Apart (later Sony Online Entertainment Denver) in 1995. He now advises the Megabooth, the largest exhibitor at PAX, one of North America's largest gaming-centric conferences. Sebastian Serrano is a young entrepreneur from Argentina. Starting as a skillful developer at a very early age and then leading a successful web & mobile development startup, Sebastian founded Ripio in 2013, offering Bitcoin wallet services plus credit payments for consumers and a full suite of financial services for merchants. With Ripio, Sebastian and his team aim to democratize digital payments in developing countries. Durjoy (Ace) Bhattacharjya is an experienced entrepreneur and Internet executive based in Boston. Before trading the agency world for the startup world, Ace worked for some of the world’s greatest brands including Ford, IBM, Mercedes Benz, Starwood, JetBlue and Pfizer. Ace is currently the Founder and CEO of medicalrecords.com, a Boston-based healthcare IT firm. Prior to starting his own company, Ace was Vice President of Interactive Marketing for the renowned EXOS / Athletes’ Performance (acquired) and also ran Advanced Media for the United States Tennis Association and the US Open. He is an advisor and early stage investor to a number of companies including: DirectDerm, Amino Apps, Douroosi, Toscanini’s Ice Cream, SocialSign.in, Kapitall and Sharalike. Ace has a BA from Boston University in International Relations / Economics and is a mentor to BU’s Kindle program as well as a member of BU’s Med-Tech / Physical Sciences Ignition Award committee. As member of the International Academy of Digital Arts & Sciences, Ace is a judge for the Webby Awards. He has also participated and been Head Judge at the Harvard Business School Venture Competition for many years. More speakers, advisors, and mentors to be announced soon!